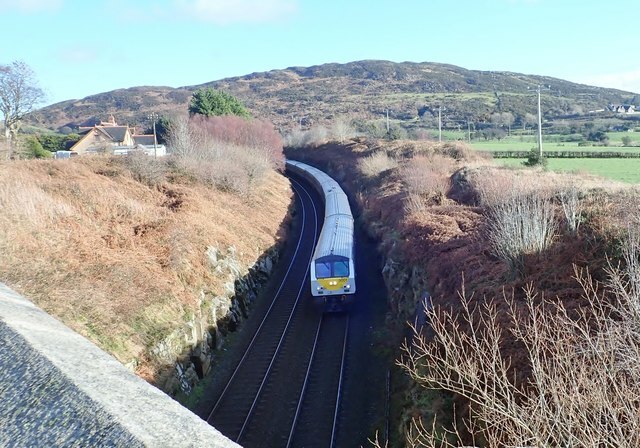 This train which left Belfast Lanyon Place (formerly Belfast Central) at 10.35 is scheduled to arrive at Dublin Connolly at 12.40. Killeen Bridge is roughly the half way point of the journey. Fathom Mountain forms the background.